What’s so Great About Sequim WA? 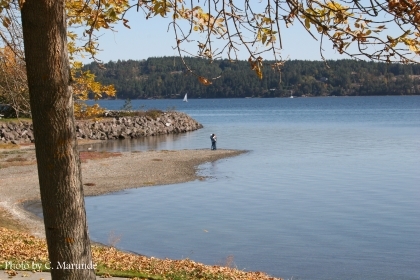 Sequim WA is one of the premier retirement communities in the Northwest. 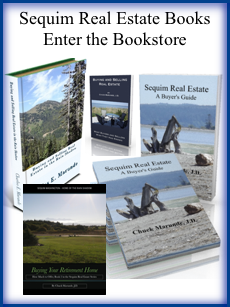 It is surprising how many people around the United States are aware of or know about Sequim WA. Sequim has been written about in magazines for a couple of decades, especially retirement magazines. But it is absolutely amazing what word of mouth has done for Sequim. People sit in coffee shops in San Diego, Denver, Dallas, Naples, Phoenix, Anchorage, and Seattle talking about Sequim WA, only to be interrupted by someone at the next table who knows Sequim. What makes Sequim WA such a popular topic of conversation in coffee shops around the country? Probably the same thing that makes Sequim such a popular place to retire. 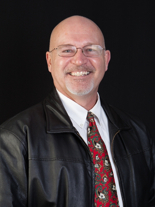 Sequim is a wonderful place to live, and I’m going to share why. I moved to Sequim over 18 years ago, finished raising my children here, and have worked and played here all these years. I’ve also talked to hundreds of people who moved to Sequim and bought a home. Here’s why Sequim WA is so popular. I suppose there’s no such thing as perfect, but Sequim comes close. Sequim really has a rain shadow, and with only 16 inches, it rains only 1/3rd as much as our neighbor Seattle. Sequim is uniquely nestled between the beautiful Olympic Mountains and the gorgeous Strait of Juan de Fuca. With plenty of sunshine, a panorama of nature’s glory on all sides, and pristine air coming gently off the ocean, Sequim is definitely unique. But there’s more that makes Sequim WA unique. We’re two hours off the I-5 corridor and far from the metropolitan traffic that so many hope to escape in their retirement years. Our crime rate is extremely low by any comparison. Our recreational activities are phenomenal, and that alone is a long delightful list. The stress level in Sequim is several levels below that of a hectic life in the city. Sequim is a rural community with a long agricultural history going back well over 100 years. Real estate has developed so that there are ideal communities for almost any preference. There are a few subdivisions with small, low maintenance lots for people who still want to live in a subdivision. Some communities have clubhouses and walking trails, and some have golf courses, like Sunland. Some communities are on hillsides with almost every home having a water view, and some communities specialize in mountain views. Of course, there are beachfront communities, too. Many prefer a little acreage, which means a half acre to 20 acres or more. Some want total privacy. These are all reasons so many people love living in Sequim. Some of my clients have dreamed of having a home in the country with room for one or two horses. Others have plans for an organic vegetable garden where there’s plenty of sunshine and just the right amount of rain. And then there’s the woman who already knows exactly what her quilt room will look like while her husband is intent on having a large shop. We have those too. The Sequim school system is one of the best in the country, and while your children may be all grown up, isn’t it nice to know that the high school kids are actually polite and considerate, and drugs and adolescent crimes are almost non-existent. School plays, musicals, and trips to Mexico to help build homes for the needy are common. Seriously, many of us feel that we have gone back in time 20 or 30 years in Sequim in terms of traditional beliefs and conservative values. What about stores and shopping in Sequim WA? Sequim is lucky. We have almost everything we need right here. We have four major grocery store chains, and we have many small family owned stores. We also have some big box stores, such as Costco, Home Depot, Petco, and Walmart. Despite the debate about big box stores in small communities, these stores have been a welcome addition to living in Sequim. They have made life easier and more affordable. Talking about affordable, Sequim is also unique because our cost of living is very reasonable compared to many areas around the country. Property taxes are not ridiculous like they are in New Jersey and California. The cost of electricity is low. And for many who like to grow their own vegetables and burn wood, the cost of food and utilities can be even lower. Sea-Tac is only a two hour drive from Sequim, which means we have easy access to visit children anywhere in the country. Living in the country but being able to travel with convenience is another reason I love living in Sequim. I could go on and on about the fishing, about hiking in the Olympic National Park, about the old growth forests, about kayaking, about running and bicycling, about all the active clubs in Sequim, about the Lavender Festival, the Irrigation Parade, and much more. But I think maybe the best way for you to discover one of the “Best Places to Retire in The U.S.” is simply to come and visit Sequim WA. 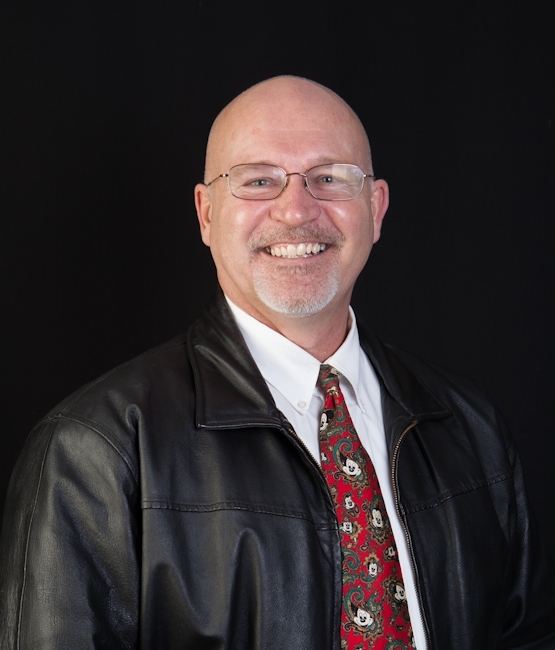 If you’re considering retiring here and buying a home, it would be my pleasure to drive you around and give you the grand tour of beautiful Sequim WA.